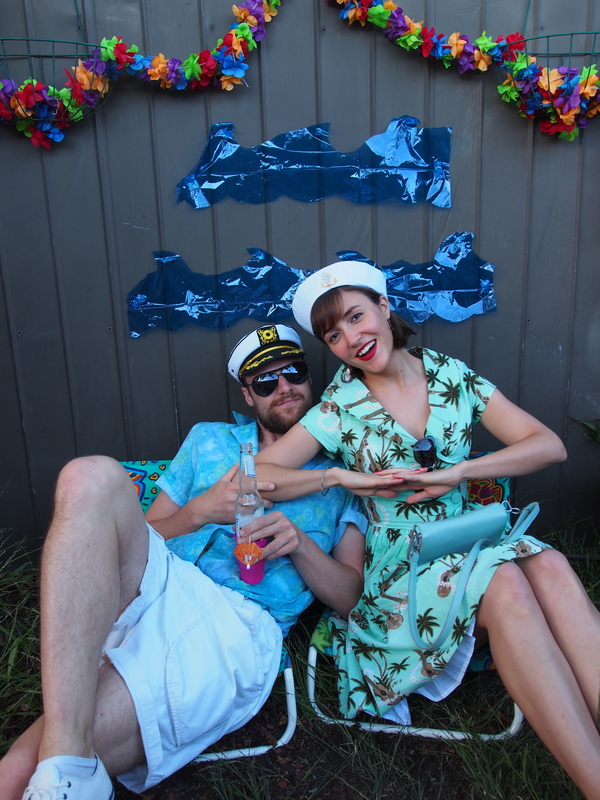 I think the popularity of photo booths or stands has something to do with backdrops and props taking the awkward out of posing for a photograph at a party. I actually have no idea, seeing as I obviously have no problem posing for photos. But I imagine for the slightly nervous and inebriated, donning a false moustache and holding a giant photo frame for a photo takes the mind miles away from the ‘do I look fat/drunk/stupid?’ inner monologue. 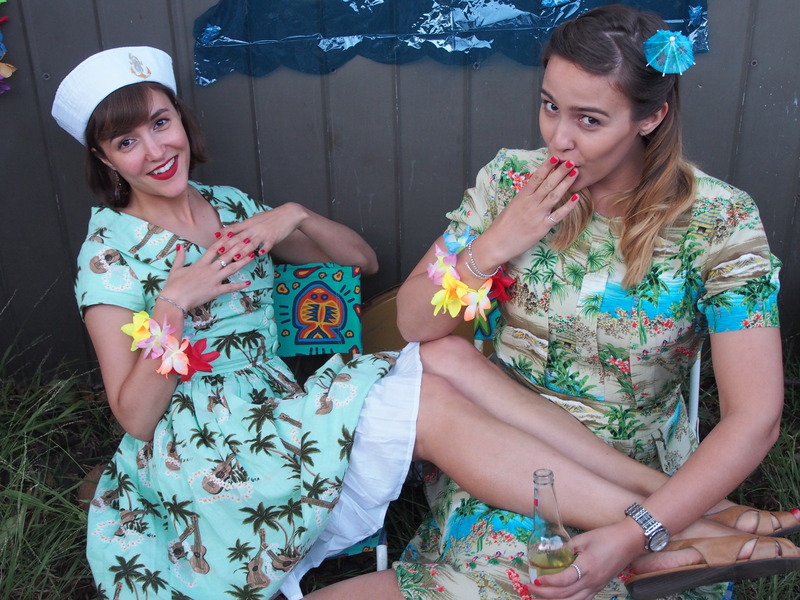 In any case, the concept is really fun and adds a touch of zing to a party. 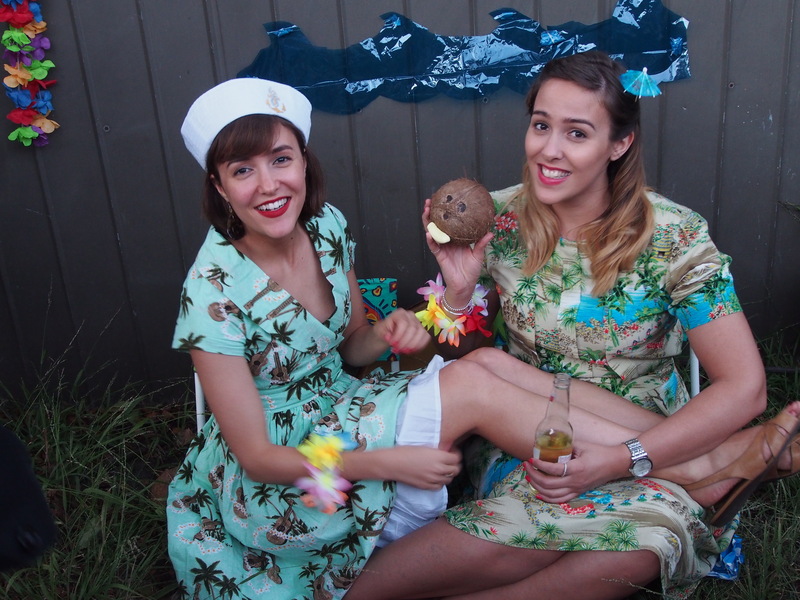 As it did at the wartime South Pacific themed NYE party I attended recently. An excellent theme which I was able to adhere to within the confines of my wardrobe (bonus). My sister bought her dress from Dangerfield, which has evolved from catering only to angsty teens with a thing for tartan to a decent place to buy dresses. A fitting purchase as soon she and my brother-in-law will be moving to the South Pacific to live and work. Samoa, specifically. 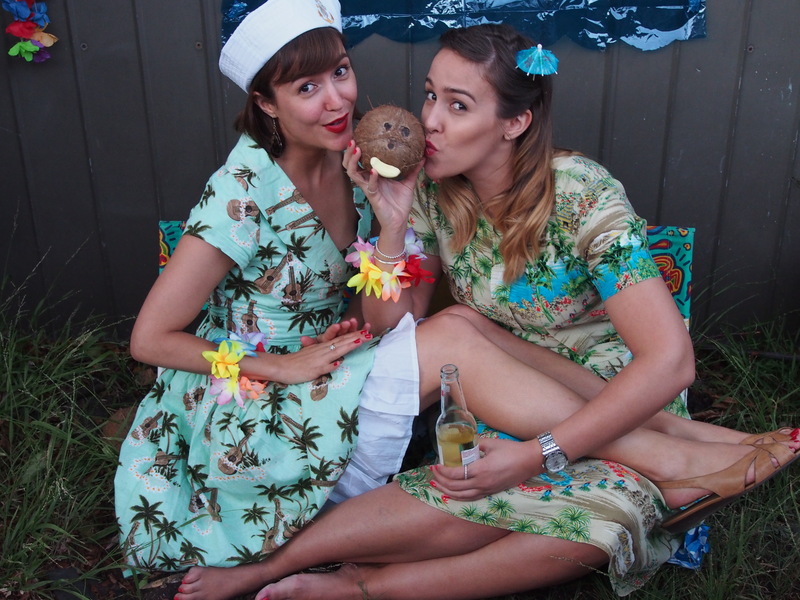 This entry was posted in Misc and tagged NYE, Party, Photobooth. Bookmark the permalink.